Men like clothes they can live in; comfortable, casual and fairly long lasting. At Volume Apparel, we make every effort to find men’s apparel that fit these requirements. 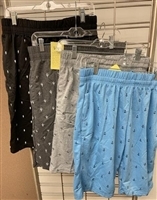 Even the discount wholesale men’s clothing and apparel listed in our bargain bin are worth a lot more than the $5 or less per unit that we charge wholesale buyers. Famous Brand men's short sleeve solid polo. Famous Brand men's short sleeve printed polo. Famous Brand men's short sleeve tee. MONTE CARLO POLO AND JOCKEY CLUB® big men's plaid poplin dorm pant. 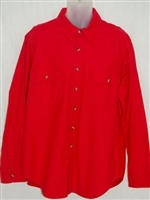 National Outfiters® men's solid heavyweight brawny shirt. The bargain bin section is bargain priced but the quality is consistent with our standards and those of the national brands on the garment labels. Our selection of wholesale cheap men’s clothing online includes various men’s outfits by Monte Carlo, Northwest, Esprit, Bum Equipment and many more. Selections may change at any time as new items are added regularly. Beef up your inventory with cheap pants & shorts for men wholesale from our bargain bin. Regardless of the season, there will always be something in this section that you can add to your inventory as a discount draw to increase traffic to your online or traditional store. We have classic white and other lightweight cheap T-shirts for men wholesale, as well as lounge pants and undergarments. This section also includes long-sleeve jerseys, casual shirts in various materials and cold weather garments such as thermal sets and heavy flannel shirts.